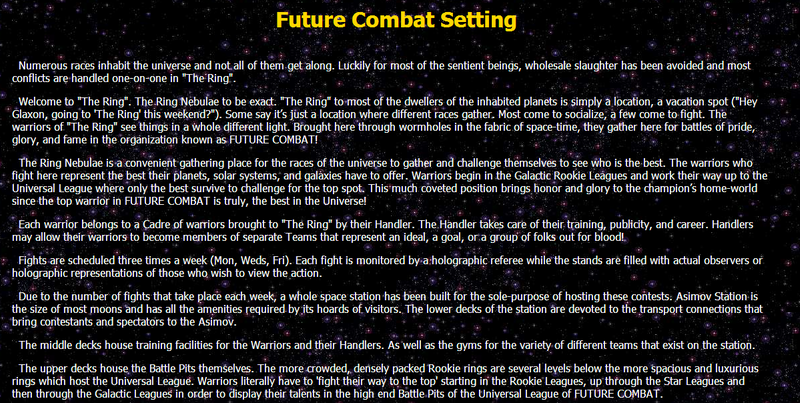 Future Combat is an online, multi-player, text based Martial Arts sports simulator set in the far future. You, the player, will create a 'handler' who will be your in game persona. 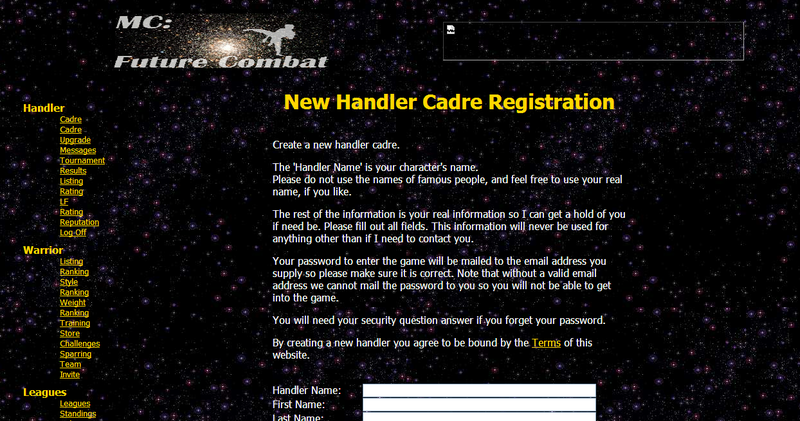 The 'handler' will manage a 'cadre' full of professional Martial Arts warriors from all over the universe. The 'handler' will recruit the warriors and manage all aspects of their fighting careers.